Argued March 13, 2003. Decided June 19, 2003. THE CITY OF SEATTLE, Respondent, v. RORY CRISPIN, et AL., Petitioners. David J. Smith, for petitioners. Thomas A. Carr, City Attorney, and Darby N. Ducomb and Roger D. Wynne, Assistants, for respondent. John M. Groenon behalf of Master Builders Association, Pacific Legal Foundation, and Building Industry Association of Washington, amici curiae. Richard L. Settle and John E. Keegan on behalf of West Beach Condominium Association, amicus curiae. [As amended by order of the Supreme Court September 2, 2003.] JOHNSON, J. - Rory Crispin seeks reversal of an unpublished Court of Appeals opinion affirming a decision that a tax lot he purchased was not created in compliance with chapter 58.17 RCW, the state statute on lot boundary adjustments, and a Seattle ordinance governing the division of land. Crispin argues the Court of Appeals decision conflicts with the language of the statute and with prior decisions of this court. Finding the lot was exempt from the requirements of the statute, we reverse. and one building was on each of the southwest and southeast parcels.«1» Before 1972, the city of Seattle (the City) did not regulate land divisions of four lots or less. Similarly, Washington law governing subdivisions only applied to plats creating five or more lots. LAWS OF 1969, 1st Ex. Sess., ch. 271, § 2(1); see also RCW 58.17.020(1). Until 1972, properties could be subdivided in the City without the need for any governmental permission. In May 1972, the City passed an ordinance that required any person who sought to divide land into two, three, or four lots for the purpose of sale to submit an application to the City for approval. Seattle Ordinance 101027«2» (May 24, 1972). The penalty for failure to comply with the city ordinance was that the new lots would be deemed "illegal." Seattle Ordinance 101027, § 42. No building permits would be issued for such lots, nor could the lots be sold or transferred. Essential to triggering the subdivision law was that the division of lots would result in more lots, tracts, parcels, or sites than previously existed. «2» Seattle Ordinance 101027, § 5 provides that "[a]ny person desiring to divide land situated within the City of Seattle into two, three or four lots for the purpose of sale or lease, shall submit an application for approval of a short subdivision to the Administrator." «3» According to RCW 64.32.100, at the time condominiums are created a survey map of the surface must be submitted to the county auditor. Also, a set of plans of the building or buildings showing the vertical and horizontal boundaries, the dimensions of the condominiums, value, number of bedrooms and bathrooms, and square footage must be submitted. All plans need to either be signed by a registered architect, professional engineer, or land surveyor certifying that the plans accurately depict the location and dimensions of the condominiums as built. lots, one was left vacant and became known as tax lot 164.«4» The four apartment buildings, now condominiums, were located on the other two lots. «4» Breakdown of the three lots after the 1972 adjustment. property was sold as is and the county made no guaranty as to the condition of the title to the lot. In June 1990, the City brought a foreclosure action for the unpaid LID assessment on tax lot 164. When informed of this, Crispin undertook a due diligence investigation to see if the property warranted payment of the assessment. During this investigation, Crispin spoke to the City's Department of Construction and Land Use (DCLU), the Seattle city attorney's office, and searched the records at the City's engineering department. He found that the property was zoned for multifamily use and was potentially "buildable." Neither the city attorney's office nor the DCLU claimed the property was created illegally in 1972. Satisfied with the results of his investigation, Crispin paid the amount necessary to stop the foreclosure. In 1991 the residents of the surrounding neighborhood hired a land use consultant, Kevin Weare, to block the development of lot 164. At the time Weare became involved, the city government considered all three lots legally created and buildable. Weare contended that tax lot 164 had never been legally created under the City's subdivision ordinance. Originally, DCLU rejected Weare's contention and issued a letter dated July 8, 1991 stating that lot 164 had been legally created in the latter part of 1972. Having failed to convince the DCLU, Weare next turned to the city council for support. Soon after, the help of the Seattle City Attorney's office was enlisted. In 1992, the city attorney's office, which had originally told Crispin that the engineering department had determined lot 164 "buildable," changed its position and claimed that tax lot 164 did not comply with Seattle Ordinance 101027 and was, therefore, illegal. After the city attorney's office changed its position, the DCLU director was written and asked to ensure that no building or development permits would be issued until the property was properly subdivided. DCLU complied. because the lot was not created in compliance with state and city subdivision laws. Crispin appealed the interpretation to the city hearing examiner asserting that DCLU improperly applied the law. The examiner dismissed the appeal and Crispin did not seek further review at that time. During this time, the City continued to bill Crispin for the LID assessment. The assessment evidently was based on lot 164 being "buildable." After the 1997 interpretation, Crispin failed to make the final LID payment, and the City brought another foreclosure action. At this time, Crispin counterclaimed for declaratory relief arguing lot 164 had been legally created in 1972 by virtue of a boundary line adjustment which did not need city approval. The trial court granted the City's motion for summary judgment dismissing Crispin's claim. Crispin appealed and the Court of Appeals affirmed. The primary issue in this case concerns whether the division of land that created tax lot 164 qualified as a boundary line adjustment for purposes of the exemption from the subdivision statutes set forth in RCW 58.17.040(6). 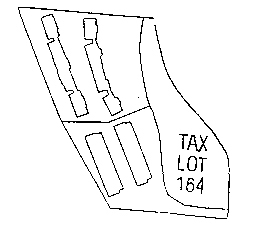 Crispin asserts that because tax lot 164 was a division made for the purpose of alteration by adjusting boundary lines and did not create additional lots, it is exempt from the requirements of chapter 58.17 RCW governing land division, which the City's ordinance mirrors, and is, thus, a legal lot. The City claims the creation of tax lot 164 neither complied with applicable subdivision regulations nor qualified as an exemption under RCW 58.17.040(6). Moreover, the City claims since Crispin failed to seek a timely review of the DCLU's decision concerning the lot through the Land Use Petition Act (LUPA), chapter 36.70C RCW, he is now barred from asking this court to review the issue through this non-LUPA action. Before the 1972 adjustment there were three lots, each with at least one building. After the adjustment there were still three lots, now with two buildings on two, and one left vacant. Crispin argues that RCW 58.17.040(6) does not condition lot boundary adjustments on the degree of change, only that there must not be new lots created. In light of this, he claims the Court of Appeals holding conflicts with this court's decision in Island County v. Dillingham Development Co., 99 Wn.2d 215, 662 P.2d 32 (1983), which interpreted this statutory exemption. We agree. in the present case. The land owner in Dillingham had adjusted the boundaries of an old plat to combine what had been substandard lots into fewer, larger lots that met the current zoning requirements. After the adjustment, the lots could then be sold. We held the reconfiguration was a boundary line adjustment exempt from the subdivision process. The interpretation of the statute we adopted in Dillingham established that boundary line adjustments which do not result in the creation of any additional lots are exempt from the platting requirements of local planning commissions and are exempt under the specific language of RCW 58.17.040. Here, the City argued, and the Court of Appeals agreed, that R/L Associates, Inc. v. Klockars, 52 Wn. App. 726, 763 P.2d 1244 (1988), was controlling. In Klockars, the Court of Appeals held some boundary adjustments which do not result in additional lots still fall outside the exemption in RCW 58.17.040(6). Klockars involved two lots with a building straddling the line between them. Because of this, both lots were unsuitable for further development. The owner sought to adjust the boundaries to situate the existing building on one lot and free up the second lot for development. The Court of Appeals held the adjustment created a new site and was therefore outside of the exemption because the statute is only intended to apply to minor boundary changes, not to changes that result in increased development or density otherwise regulated by the applicable land use code. 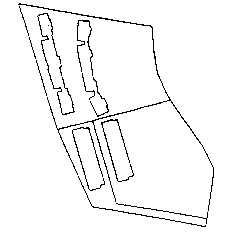 Klockars, 52 Wn. App. at 732 (emphasis added). We find no support in the statute for this distinction. which created lot 164 did not produce any new lots. The Court of Appeals found the changes "substantial" and therefore the lot boundary adjustment created an illegal lot. However, as we recognized in Dillingham, the statute does not support the distinction the Court of Appeals draws between adjustments that are minor compared with substantial. Nor would such a rule be workable, and would perhaps be unconstitutional. We have recognized that the regulation of land use must proceed under an express written code and not be based on ad hoc unwritten rules so vague that a person of common intelligence must guess at the law's meaning and application. See Burien Bark Supply v. King County, 106 Wn.2d 868, 725 P.2d 994 (1986). As can be seen from the record in this case, the City itself issued conflicting interpretations on the legal status of the lot. Under the Court of Appeals approach, the final decision would rest on the determination of whether the boundary adjustment was substantial or not. Such a result conflicts with the specific language of RCW 58.17.040(6). The City also argues that Crispin's failure to appeal the 1997 interpretation should not allow him to relitigate the issue, since a proper LUPA appeal was not pursued. The City did not timely identify the issue for our review as required by RAP 10.3(a) or RAP 10.3(b). Additionally, RAP 13.4 states that if a responding party to a petition for review seeks review of an issue not raised in the petition, then that party must raise the new issue in its answer. Here, the City failed to raise the LUPA issue in its answer to Crispin's petition for review; therefore, the City is foreclosed from raising the issue. after the adjustment. The fact that a buildable site was created does not prevent application of the boundary line adjustment exemption found at RCW 58.17.040(6). The Court of Appeals decision is reversed. ALEXANDER, C.J., and MADSEN, SANDERS, IRELAND, BRIDGE, CHAMBERS, OWENS, and FAIRHURST, JJ., concur. Reconsideration denied September 2, 2003.